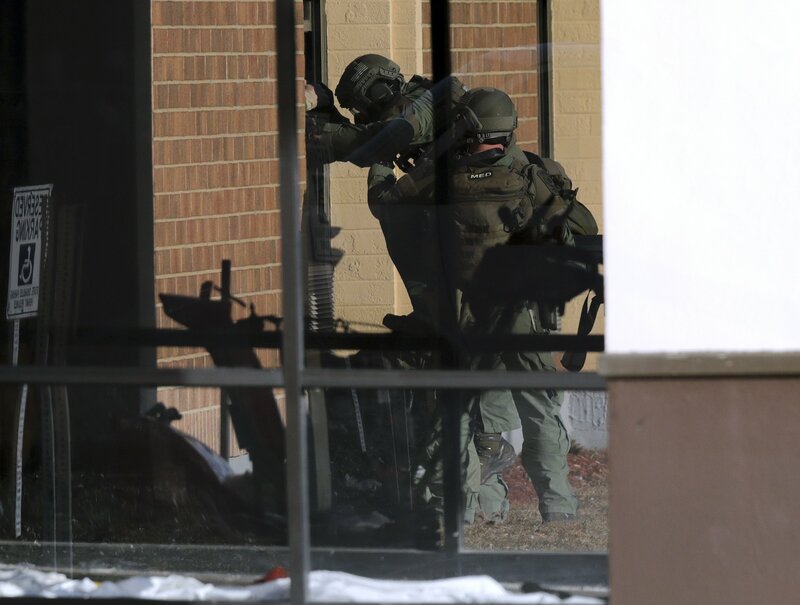 MANCHESTER, N.H. — A standoff between police and two people barricaded inside a hotel stretched into a second day Thursday, a night after a man was killed in a shooting there involving law enforcement agents, authorities said. The standoff began Wednesday around 7:30 p.m. when a man with a gun in his hand “engaged” with police and Drug Enforcement Administration agents outside the Quality Inn in Manchester, near Interstate 293 in a busy area that includes a shopping mall. Authorities identified the man killed as 51-year-old Stephen Marshall, of Manchester, in a news conference early Thursday. Marshall was pronounced dead at the hospital and an autopsy was scheduled for Thursday. Officials say there is still an active standoff going on between officers and the two people barricaded in the hotel room. Police made contact with them at one point. Multiple shots were fired and SWAT team members deployed chemical agents inside the room.